When you first start to climb mountains you are quick to realize that just as you reach the peak of one – you see that there are many more yet to climb. The Journey to Scale for Healing in Harmony is one that has had many peaks. As we enter into the final phase of the journey, we reflect on our past experiences so we can prepare to take the Healing in Harmony music therapy program towards our next peak – integration into other organizations and programs operating around the world. This was a belief that we had over 10 years ago. At that time it was just that – a belief. An idea and a feeling that music could play an integral role in the healing of individuals and communities. That music could be a powerful tool in peace and development work. Back then we were left with the questions of: how, and can we prove it? Together with our partners at the Panzi Hospital and Foundation and the support of Elrha’s Humanitarian Innovation Fund, we have been able to mould and transform belief into innovation. Working within the holistic healing model of the Panzi Hospital has allowed us to learn best practices and integrate those values and ideals into what has become the Healing in Harmony music therapy program. Healing in Harmony has become our ‘how’. 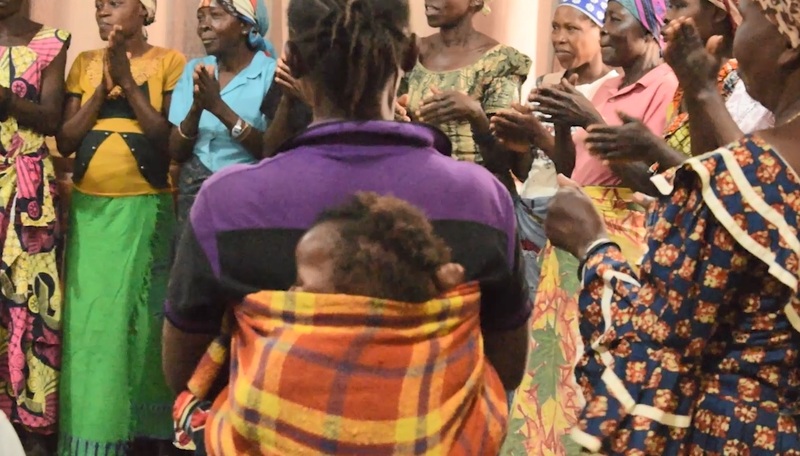 Once the Healing in Harmony program was developed, we were given the opportunity to expand into other sites within the Panzi Hospital, specifically within Beni, in the Democratic Republic of Congo (DRC). With the lessons and feedback we received from the program team, sponsors and program participants, we have been able to refine the program to where it is today. The refinement of the program has allowed us to lay it out in a codified way in the form of program manuals. The creation of these manuals will provide us with the guide we need to reach our next peak. With the expansion of the program happening concurrently with the initial programs at the main Panzi Hospital site in the DRC, we were able to generate a substantial amount of data for our partners at the International Centre for Research and Training (ICART) in order to evaluate the efficacy of the Healing in Harmony program. Once published later this year these findings will be available via Elrha’s website and our innovation profile. In this final phase of our Journey to Scale with Elrha, we have been working to codify and operationalize the Healing in Harmony music therapy program into a manual that will allow us to integrate into other organizations and programs around the world. 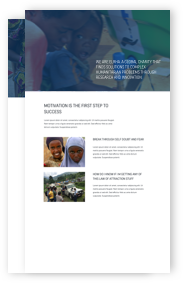 This process was facilitated by partnering with World Vision in order to open a new site within the DRC. Through the process of training new program partners, we were able to ensure that the manuals contained everything a partner organization would need to implement the Healing in Harmony program within their organization. Their feedback has been an essential component in the creation of these manuals. With the ‘how?’ and ‘how will we prove it?’ questions answered, we are ready to take the next leap and climb the next peak – our question now becomes how we can integrate the program into other organizations and still maintain the highest possible standards for our program recipients. With guidance from our Journey to Scale partners at Elrha’s Human Innovation Fund we have begun to develop the social franchise model. We realized quickly that the Healing in Harmony program thrives when it is a component of a larger whole – but that there is still a significant amount of learning and oversight that needs to be done in order to ensure that it maintains its integrity as a standalone program. We have also realized that allowing the program and our partners to adapt to the needs of their communities is essential to the overall success as a program. The program in Beni had such a positive impact on the participants that family members and community members noticed the change. They began to ask how they too could be a part of it and benefit. This showed us the need to be responsive to the communities – by listening to what they needed we were able to expand the program to include cohorts of male ex-combatants and females who were forced into prostitution. They were able to work through the program and with the music that they created they were able to see behind each other’s labels to the human underneath. This is a huge step in being able to heal the community at large and has allowed us and our partners to see that there are other groups that can positively benefit from the program. The social franchise model required Make Music Matter as an organization to examine its role in the process and how we can most efficiently and effectively work together with our future partner organizations to ensure the most success. We have developed a system in which Make Music Matter will act as a hub and knowledge base where we can continue to gather and consolidate best practices with our future partners but also provide the required training and support for implementation. This progression has come about quite organically for us and is a testament to our partners up until this point. Through our work with them, we have been able to more clearly see how we are best suited to bring the Healing in Harmony program to scale. As with anything we have learned that the relationship we build with our partners – both current and future – is essential to any success we have. We know that in order to reach as many different populations as possible there will not be a single type of partner and the model will have to be flexible to accommodate the needs of the participants and the community. We have certain fundamental criteria that potential partners must meet, but first and foremost our on-the-ground relationship and a solid foundation of trust and respect must be fostered. This final stage of our Journey to Scale is centred around ensuring that we have the proper internal and external controls in place; we have a standard fundamental list of criteria required for partnership; and we have an understanding with any potential partners about the importance of quality control for ourselves and for our partners. We are in the process of completing our first set of songs from our World Vision site: they are being sent to our incredible network of music industry mixing and mastering professionals in preparation for dissemination. We are working closely with World Vision in order to extend our partnership past this stage and work out how we can continue to develop the social franchise model. While the past 10 years have had their share of challenges, we feel as though they have only just prepared us for the next leap. We have learned immensely through our partnership and learned how best to take the Healing in Harmony program to its next peak. Please check out the current vlog, highlighting our franchising journey, and continue to follow our progress as we begin the next stage of our journey.